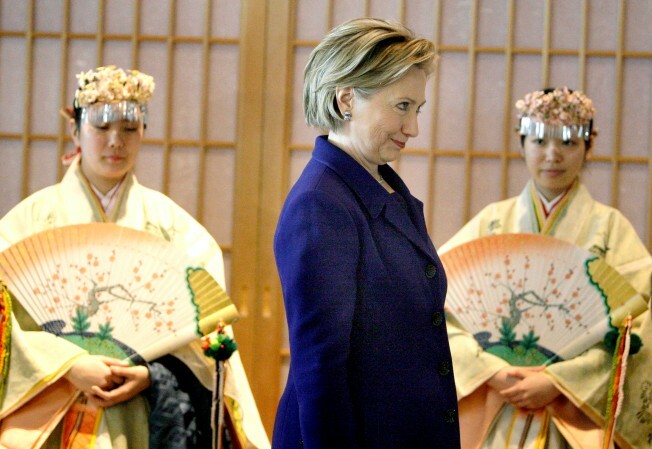 Secretary of State Hillary Rodham Clinton visits Meiji Shrine in Tokyo. Right now she’s in Brussels, but don’t take our word for it. Check out her map. The State Department has put together an interactive map that tracks the movements of Madame Secretary. The map uses Google technology with fancy State Department symbols. Today Belgium, tomorrow Switzerland, then Turkey. Gee, this diplomat job doesn’t sound too bad.